Stanley is an industrial town lying on a hilltop between Chester-le-Street and Consett. Much of the surrounding landscape was changed by coal mining. However, the mines are all shut now, and the old spoilheaps have been landscaped and grassed over. Stanley as a small settlement is of ancient origin and was first mentioned in 1211 as ‘Stanlegh’ and is derived from Old English, ‘Staenig-leah’, meaning stony clearing or stanig and hlaw, meaning stone hill and was probably an Anglo-Saxon settlement. Mr Jack Hair, an acclaimed local historian, has provided a brief account of the main settlements in Stanley Town council’s area explaining how each has been formed and developed through time. In 120-240AD Stanley formed the site of a Roman cattle camp to supply the camps at Newcastle and South Shields and was surrounded by a ditch (vallum) and a turf wall to protect the cattle with rough stone huts for the soldiers. This was confirmed by the finding of coins, sword, spears and pottery by Sir Nicholas Tempest in 1730AD. A road was also built by the Romans linking South Shields to this camp at Stanley. Prehistoric remains have also been discovered in this area. A Neolithic axe was found in 1850 at Stanley Farm. This stone tool may have been used by the earliest farmers to clear trees and make their small, simple fields. Stanley was mentioned in 1211 as ‘Stanlegh’ and is derived from Old English, ‘Staenig-leah’, meaning stony clearing. It was probably an Anglo-Saxon settlement. We know little about the kind of settlements in which they lived. It is thought that they probably dwelled in a simple wooden round houses. By the Iron Age the small clusters of these houses would have been surrounded by a simple enclosure. Roman activity is represent to a lesser degree, a coin being found at Lady Smith Terrace. The manor house, Stanley Hall was first mentioned in 1394 and was demolished in the 1930s. In 1834 it was described as standing south of Tanfield on a wild hill top. The site is now beneath a modern housing estate. There is evidence of a chapel having stood near what is now an old quarry. It may have been associated with Stanley Hall. There are no remains to be seen at this site. 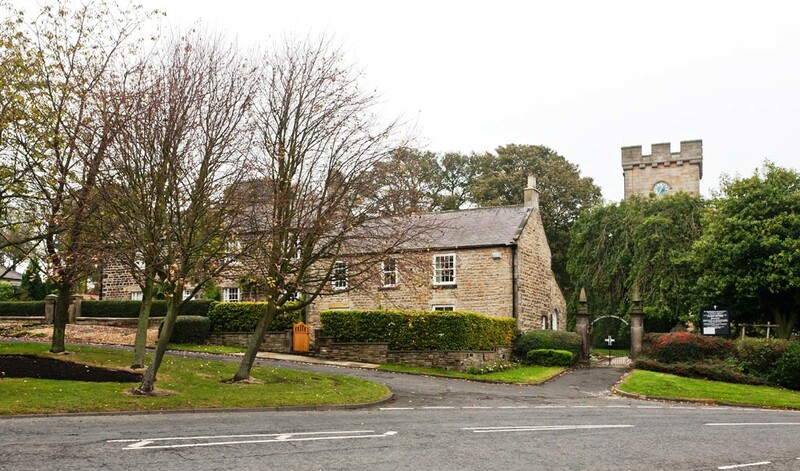 In the 1860’s Stanley existed only as a small hamlet, part of Tanfield parish with the old village of Tanfield as the local capital. It was here that the annual hiring and village sports were held and here that on election days the rival parties assembled to hear the speeches of their champions. It was here that the children of Stanley went for their education, their baptism and confirmation and later for their weddings. Tanfield churchyard was also the resting place of the inhabitants of Stanley who had passed away. Even in the 1880’s Stanley did not possess a public hall and when the Parliamentary Division of North West Durham was formed following the Franchise Act of Gladstone, the public meetings were held in the stuffy “long rooms” of the local public houses, the Stanley Inn and the Commercial Hotel, or “Middle House” as it was familiarly known. Early maps (c1856), shows Stanley having a triangular plan which is still at the centre near the Library today, and consisting merely of some tiny cottages with rear gardens and detached allotments. To the south is a railway line beside which is marked Stanley Engine. There are several references to coal mining activities nearby. A short distance to the north is another hamlet called Shield Row, with Shieldrow Hall and Shieldrow Brewery marked. Further north again is another small hamlet called Kip Hill with a handful of houses around a road junction, and The Blue Bell public house. In 1894 the rising mining village of Stanley was provided with railway facilities at Shield Row, the first station master being William S Newton. In 1879, Stanley was listed as a hamlet under Tanfield. By now Stanley had a National School, and church services were held in the schoolroom on Sundays. There was also another National School at Shield Row, where there was also a Catholic church and Primitive and Wesleyan Methodists chapels. By 1898, Stanley was more built up. The original ‘triangle’ now lies at the east end of High Street, to the north of which lies Joicey’s Square. St. Andrew’s Church and vicarage was built in 1875-6 to a design by J.G. Holt of Manchester. This is the parish church of Beamish. A 1898 map also shows a new Methodist Chapel, School, the Victoria Theatre, Model Lodging House, with other schools and chapels. At Shield Row there was a brewery, described as the Old Brewery. The Anglican church opened in 1877, and a Catholic church in 1899. Immediately to the north of Shield Row is the Annfield Plain Branch of the North Eastern Railway, with Shieldrow Station, and Old Engine Houses. At Kiphill the Blue Bell has been joined by the Bird Inn and a Methodist Chapel. The ‘Bird Inn’ is perhaps a mistake for the Board Inn, possibly an example of an ordnance surveyor having difficulty understanding the broad dialect pronunciation of a local inhabitant. The Roman Catholic Church of St. Joseph in Thorneyholm Terrace had been built 1898-1902 to a design by Charles Walker. The Victoria Theatre was built in 1893 and the Theatre Royal of 1905. By 1921, Stanley was growing rapidly and the area now joins up with East Stanley and Shield Row. The Roman Catholic Church is shown on maps, along with a Football Ground, Recreation Ground, Cemetery and Allotment Gardens, Gas Works, Drill Hall and Motor Bus Depot.